Here is an amazing news to share with you all. Remix OS for PC is finally released. 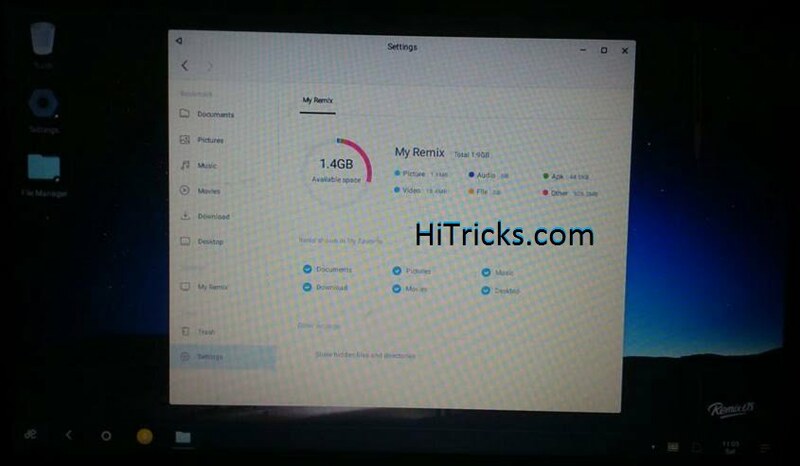 Remix OS is an Android Operating System fully bootable on your PC. This is compatible with both Windows and MAC and is far better than Android Emulators like Bluestacks. Remix OS is ready to provide the Stock Android Experience on your Computer and can run all your Android Apps and Games. It supports installing apps via Google Play as well. The most important thing is that is user-friendly and is made for computers. The performance of the operating system is unbelievable. It scores an Antutu Benchmark Score of 214218. The next best record holder is Samsung Galaxy Note 5 with a score of 83944. So basically, Remix is more than twice powerful than its ultimate successor. Check out the comparison bar graph below. So think no more. Get ready to experience the best of Android ever dreamt. 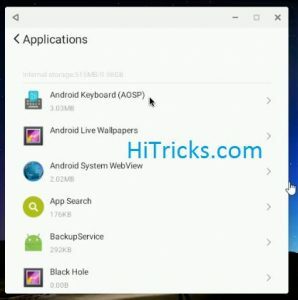 If you own a computer, you can install this amazing Android Operating System on your pc and taste the performance. 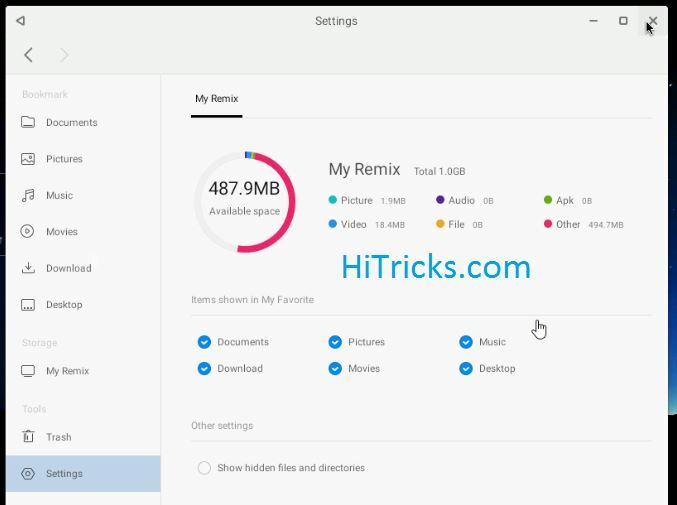 Before installing it, check out some of the screenshots of Remix OS from Below. Enough of Screenshots and Highlights? Now let’s move on to the main article. 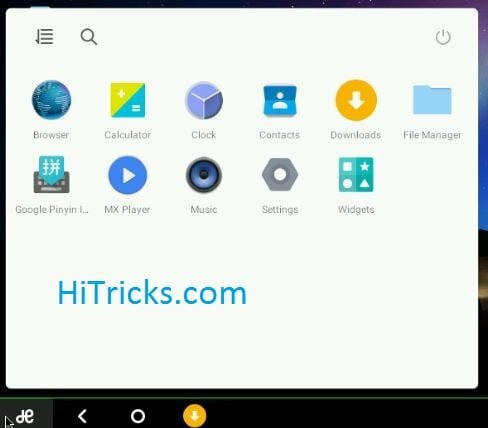 Also, another Android for PC Operating System called the Phoenix OS released soon after the Remix OS. It has stunning UI. You should definitely check it out. The Downloaded Remix OS File. A USB 3.0 Flash Drive of 8GB or more. The Remix OS USB Tool. 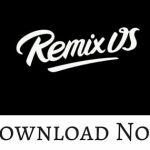 The Remix OS can be downloaded from here. It is recommended you enter a Flash Drive with a minimum memory of 8GB and a minimum writing speed of 20mbps. This will ensure you get the best speeds. If you don’t have a USB 3.0 Flash Drive, you can grab one from here. 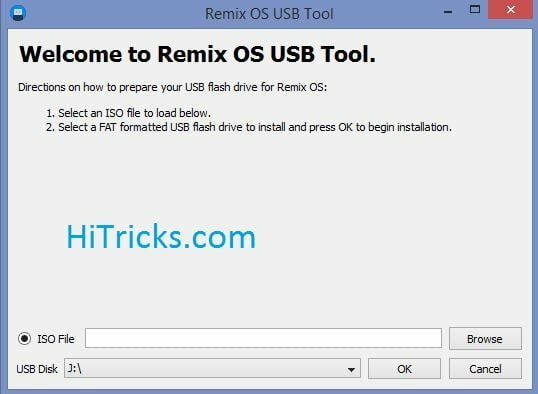 The Remix OS USB Tool can be downloaded from here. 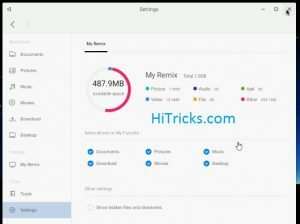 First Download Remix OS from the link given above. It will be a zip file of course. First, unzip the file you downloaded just now. You can find the following files inside. Now Insert the USB Flash Drive into your computer. Make sure it is empty or you have backed up everything to anywhere else safely. As we are going to format it. After it gets recognized, Go to My Computer and Find the USB Flash Drive, right click on it, and click on Format. Choose File System as FAT. It may be extFAT or FAT32 or whichever it shows, but make sure it is in FAT. Click Start. It will throw a warning of losing all your Data. Click OK. Wait for it to get formatted. It will show Format Complete Dialog Box when it is formatted. 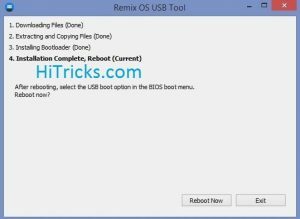 Now, run the remixos-usb-tool-B2016011401.exe file that you downloaded and unzipped. Now, on the Iso File, click Browse and choose the img file you unzipped just now. Choose the USB Disk as the Flash Drive you entered and click OK. It will take some time to complete. After it completes, click Reboot Now. Wait for your computer to shut down properly. While it starts to boot, access the BIOS Settings and choose Boot from USB Drive. Well, if you are familiar with Installing Fresh Windows, you can do that easily. But if you don’t know how to do that, we are trying our best to help. Changing the Boot Order, to give USB Drive priority to Boot over your regular Windows. Booting from USB Flash Drive. If you already know these, just skip these steps. 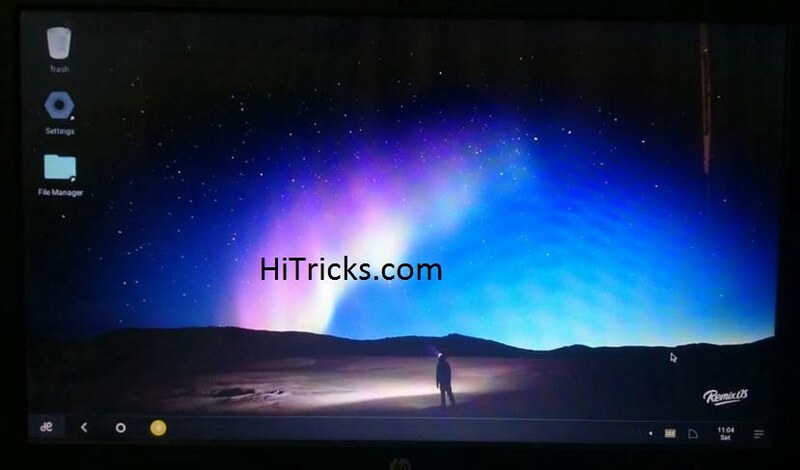 Click here and here for two articles that describe how to enter BIOS. Alternatively, you can simply do a Google Search as: How to Enter BIOS on <Your PC Company Name> in Windows <Your Windows Version>. This is because the process varies from manufacturer to manufacturer. Next, Change the Boot Device Order and set the USB Flash Drive in the top priority. This process is simply giving your computer instructions to Boot from the USB Flash Drive instead of the regular system. If you don’t know how to do that, Click Here and read the article that describes how to change the boot order. Finally, exit from BIOS and turn off your computer. Know what you just did: When you start your computer, it will check for a Bootable USB Flash Drive. If you have inserted the USB Drive, your computer will Boot from USB as it is in top priority. If you don’t have the USB Drive inserted, your computer will simply skip it and boot to Windows regularly. Now, insert your USB Flash Drive and then start your computer. Make sure the USB is inserted before you restart. Well, now wait till it boots from USB. It will ask you to choose Guest Mode or Resident Mode. Guest Mode is made for testers who want to explore the Operating System only for experimenting. After you shut down or reboot, all your data will be cleared. Resident Mode is made for normal users who want to keep all their changes saved. 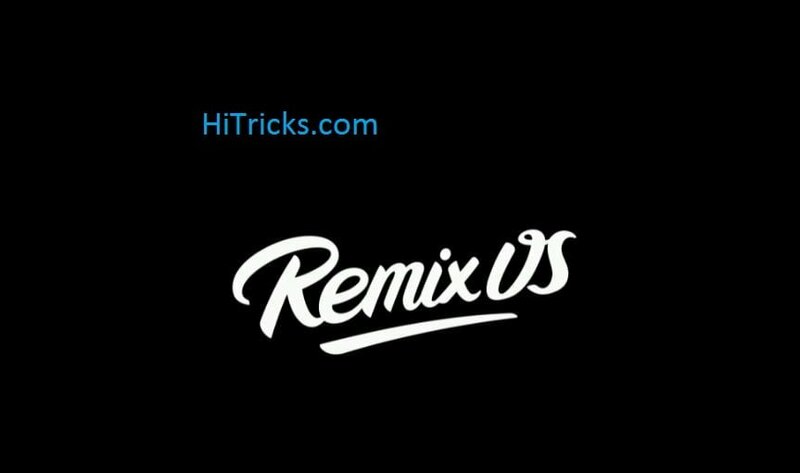 It will show Remix OS Logo. Wait for it to load. It may take 5-10 minutes or more. 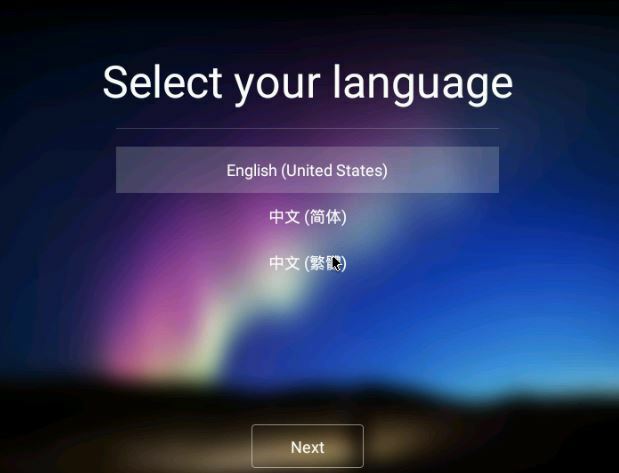 Finally, it will ask you to choose Language. Select it. Click Next. Now, accept user agreement and Click Next. Congrats! Your Operating System is now installed successfully. You will see a message your Setup is Complete. Click Start to Begin exploring the Remix OS. 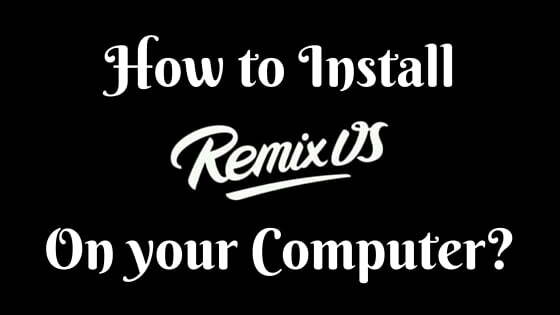 That’s all about the detailed step by step guide to install Remix OS on your computer. Hope you all have understood it properly. Now what are you waiting for? Just rock on! Start installing it on your computer. 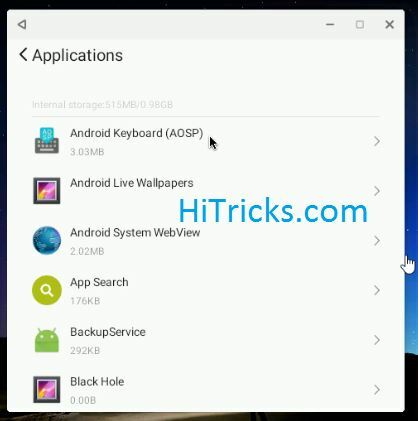 After you install it, don’t forget to Install Google Play on Remix OS, check the steps to download it from the link above. How to revert to Windows Again? Well, to revert back to windows again, all you need to do is shut down your computer from the Remix OS and after that remove your USB Flash Drive. Now restart your computer. As your priority is set to USB Flash Drive, it will first look out for USB Drive, if it does not find it, it will simply boot to regular Windows. Note: Your Windows Data is stored in the C Drive, and the Remix OS is installed on an External USB Drive. So none of your windows files are harmed and so when you boot back to Windows, you can access all your files as usual. 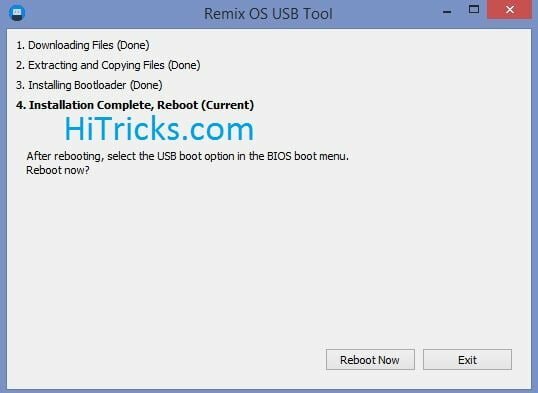 To again boot to Remix, plug in your USB Drive and start your computer. It will boot from USB. The boot order does the trick. If you want to Dual Boot Remix OS and Windows together, check out this post. For rooting your Remix OS and installing SuperSU, you can check this post. While performing the steps please follow the instructions provided, don’t do anything you don’t know. Don’t install anything else on the USB Flash Drive. 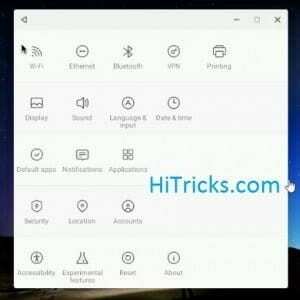 If you install, then your Remix OS will get corrupted and won’t boot properly. If you get stuck in boot loop, just turn off your computer and remove the USB Drive. When it restarts, it will boot to Windows normally. Don’t change the BIOS Mode from UEFI to Legacy and vice versa. (This can be done with the BIOS settings, but DON’T DO THAT) That’s why we have included downloads for both UEFI and Legacy. Well, Thanks for reading. Do share the post on Facebook and help your friends install this too. Keep visiting HiTricks. and doesnt stop after 15 min also. That card is not supported by Remix OS yet. I have the same card and the same problem. I toggled EFI option in the settings and tried, but no luck. I also tried changing the controller (SATA, IDE and USB) for OS image and eliminated any empty ones. Also toggled the Live CD/DVD option, in case that could work. But nothing works. Hello. I have an ASUS f1A75 – M – which is Legacy supported. I keep rebooting to the part of selecting resident or guest mode. Any ideas? wich installation do I have to use? legacy or uefi? and I’m stuck with adding a user whern installed. Do you have the same problem?